As a marketer today, you’re responsible for a more significant portion of the buyer journey — and for demonstrating the ROI of your efforts. You’re charged not merely with generating leads and funneling them into the sales cycle. Your role is to engage critical decision-makers before, during and after the conversion. This modern approach to marketing requires that you work hand-in-hand with sales. Businesses see measurably better results when the two teams are orchestrated — 36 percent higher customer retention rates, 38 percent higher win rates and 208 percent more revenue from marketing efforts, according to Wheelhouse Advisors. This research reflects trends we see on LinkedIn; for instance, prospects are 1.38 times more likely to respond to direct sales messages on LinkedIn if marketing has first influenced them. Even so, most marketing and sales organizations remain siloed. In the US alone, businesses waste an estimated $1 trillion per year due to lack of sales and marketing coordination. This misalignment impacts not just productivity, but also the customer experience. You can close this gap and deliver more personalized, seamless experiences by coordinating your efforts to engage the most promising prospects throughout the buying cycle. Read on for three ways to make this shift. You’ll better engage potential customers — and pave the way for higher conversion rates — by building a shared understanding of whom you’re trying to reach. Research from Join the Dots and LinkedIn shows that on average, marketing influences fewer than one in four sales relationships (23 percent), even though prospects nurtured by marketing are significantly more receptive to sales reps. 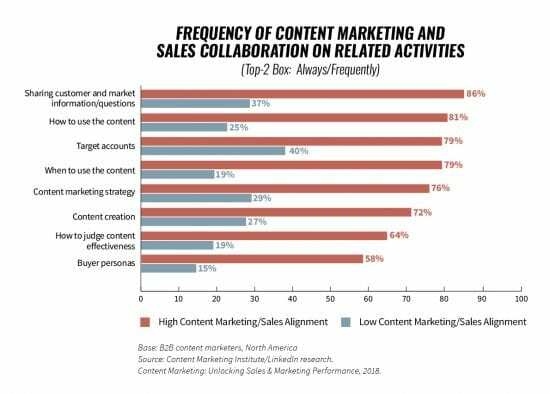 Meanwhile, sales reps ignore about half of marketing-generated leads because they lack confidence in their marketing colleagues’ methods and information. Aligned teams make it a priority to build and share a full view of their prospects and customers. Marketing will naturally cast a wider net because you’re thinking about awareness and lead generation, but ideally, sales’ target list will fall squarely inside the audience you’re reaching. Both marketing and sales gather relevant knowledge about prospects as they interact with and observe them on their buying journeys. By sharing these insights about buyer behaviors, preferences, interests, pains, and even opinions, you’ll position your team to identify and engage the most promising potential customers. 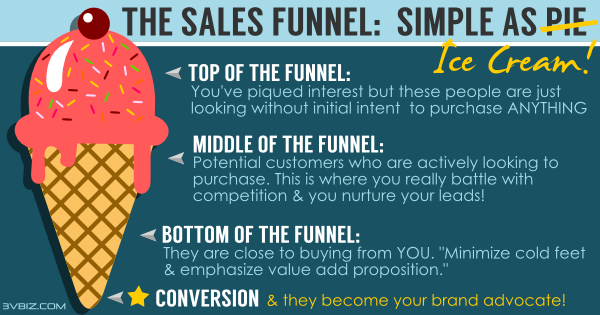 Prospects view their buying experience as a journey, not a marketing funnel or sales pipeline. Moreover, an individual prospect might not be involved from beginning to end — in a complex B2B purchase, different decision-makers are involved at various stages. To meet prospects where they are, marketers must move beyond the classic paradigm separating the buying process into a marketing funnel and a sales pipeline. This means working closely with sales throughout the full customer lifecycle, spanning all buyer stages from initial awareness to purchase and advocacy. With coordinated outreach through this journey, you can ensure both teams are engaging customers at the right time with the right content. Work with sales to define messages and execute on campaigns designed to trigger and encourage engagement with everyone on the B2B buying committee. For example, if a sales rep is engaged with a prospective account’s procurement team, marketing can share targeted content that resonates with the procurement persona and prompts the buying team to close the deal more quickly. Orchestrating your campaigns in concert with sales works like a flywheel. You’ll learn a lot about your target audience as you go through the conversion phase (on the right side of the graphic below). For instance, you’ll figure out who’s responding to awareness campaigns, which content pushes them forward in the buying journey, and at what points they engage with your content. Apply this data to the planning phase (the left side of the graphic) to create more sophisticated and fruitful marketing experiences. Figure out who from your target audience is responding to awareness campaigns and inject this insight into the planning process. Double down on the content that engages prospects who convert to buyers. You can also use insights gleaned from the conversion phase to refine your audience. Once you understand the kinds of companies that respond well to your orchestration efforts, identify new targets through lookalike algorithms. A lack of sales and marketing alignment is derailing far too many buying experiences — limiting the potential impact of marketing efforts and alienating potential buyers. By moving beyond this siloed approach to marketing, you stand to improve the ROI of your efforts while evolving your organization. Ensure you’re deliberately working with sales to deliver an engaging buyer experience, drive results and build lasting customer relationships. Keith Richey is Senior Director of Marketing for LinkedIn Marketing and Sales Solutions. In his role, Keith leads a team that looks after regional marketing, demand generation, and marketing communications. Prior to LinkedIn, Keith worked in advertising at Ogilvy & Mather and Young & Rubicam. He lives in San Francisco with his wife and two sons. What Is The Meaning Of Pipeline in Sales and Marketing?